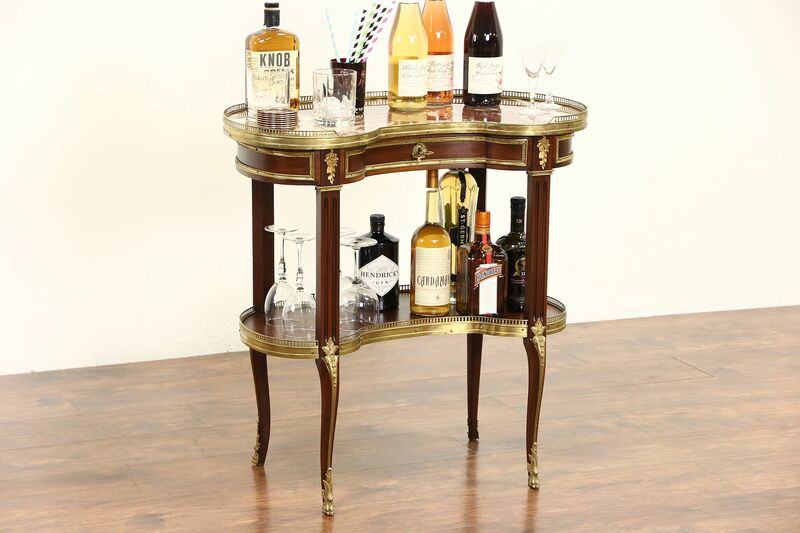 A French 1915 era marble top small desk, chairside table or bar has a marble top and original brass galleries and mounts. Mahogany has inlaid banding and an excellent restored finish. The marble has a professional repair and has been polished and sealed to resist stains. A key in the drawer is a handle only, the lock does not work on this luxurious antique furniture. Size is 29" wide, 17" deep and 30" tall. See 21 photos on Harp Gallery website that enlarge to full screen size.